An updated app for smartphones and other mobile devices can help workers stay safe when working outdoors in hot weather. The free app was redesigned by CDC’s National Institute for Occupational Safety and Health (NIOSH), along with the U.S. Department of Labor’s Occupational Safety and Health Administration (OSHA). 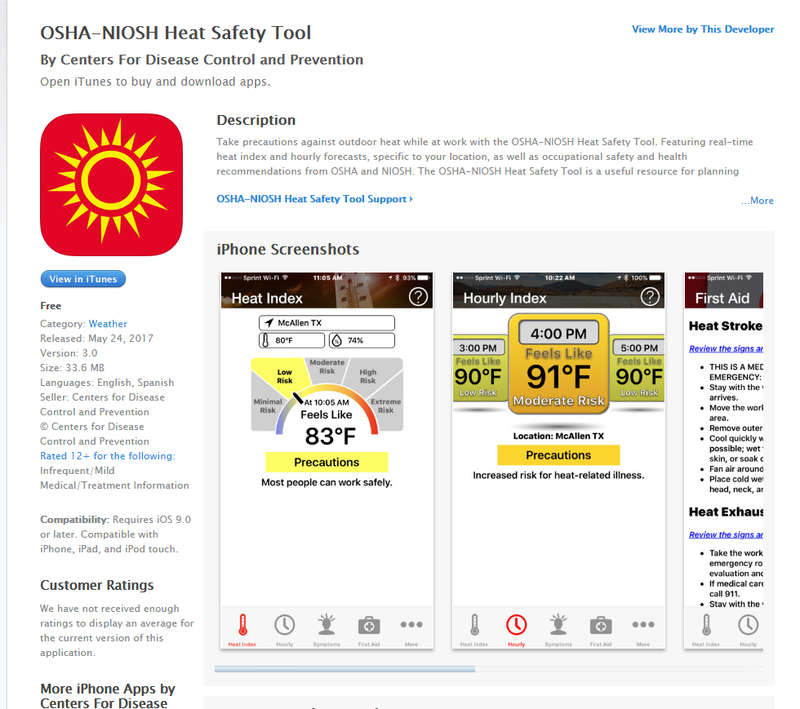 The OSHA-NIOSH Heat Safety Tool mobile app, for iOS and Android devices, determines heat index values – a measure of how hot it feels – based on temperature and humidity. Workers exposed to hot and humid conditions, including construction workers, landscapers, farmers, and others, are encouraged to use the app to check weather conditions if they will be outdoors for short or long periods during the summer heat. The app, an updated version of OSHA’s original Heat Safety Tool, uses the device’s geolocation capabilities to pull temperature and humidity data from National Oceanic and Atmospheric Administration satellites to determine the heat index. The app shows the current risk level (minimal, low, moderate, high, or extreme) and forecasts the hourly heat index throughout the entire workday giving employers the information they can use to adjust the work environment as needed to protect workers. Thousands of workers are affected by heat illness each year. Environmental heat is a recognized hazard. Workers have the right to receive information and training about hazards and their prevention, and it is the employer’s responsibility to provide this. In a training, it is important to include the health effects of heat, how and when to respond to symptoms, and how to prevent them from occurring. The OSHA Heat Illness Prevention Training Guide (PDF*) includes information in short, interactive lesson plans that can be completed in a tailgate or toolbox talk. Training should be in a language that the worker can understand. Knowledge is the first step of prevention. To create a plan of preventing heat illness to communicate during these trainings, Using the Heat Index: A Guide for Employers (PDF*) is a helpful resource. Having a plan and knowing what to do in the event of a heat-related emergency is part of first aid that can save lives. 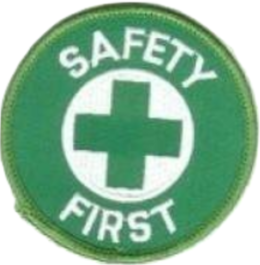 Guide to carry out heat safety training, with lesson plans (tailgate or toolbox talks). Cal/OSHA Video Guide: Water, Rest, Shade: The Work Can’t Get Done Without Them – A Heat Safety DVD and Discussion Guide (PDF). Facilitate a discussion on heat illness prevention after watching the video. **NOTE: California and Washington state have their own heat illness prevention standards; these materials reflect the requirements in those standards.